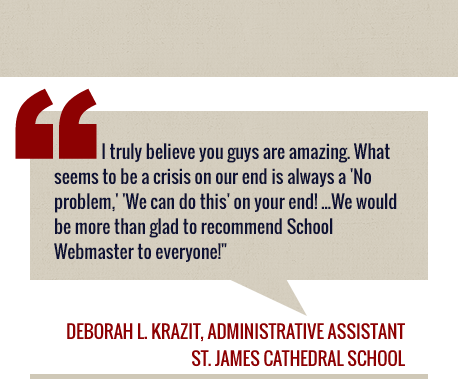 I confirm that I have reviewed and approved the prototype design provided by School Webmasters. The screen capture is a true representation of the approved website design, and I acknowledge that any significant future design modifications* requested to this approved design will incur additional design fees. *Significant design modifications would include graphic changes affecting multiple pages of the site.